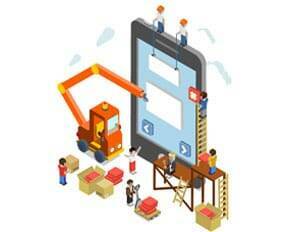 It’s surprising that only about 8% of developers actually test their application. There are so many buggy apps on the marketplace and it is quite disheartening for developers who take mobile app development seriously. “Release it now, fix it later” is a common practice these days. A buggy app will always cost the developer and the company their reputation. A developer should not depend so much on testers for basic crashes and ANR(Application not responding) problems. As a developer myself, I can understand their tight deadline challenges. 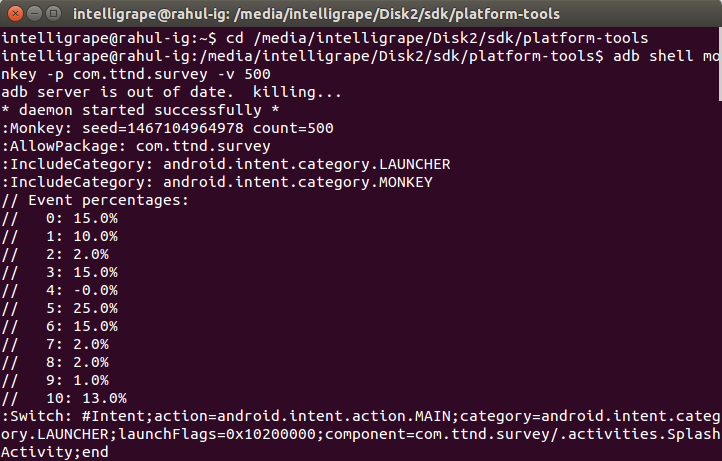 Keeping all these things in mind, Google has introduced Monkey tool, which takes care of crashes and ANR. Monkey is a command line tool that runs over ADB shell command line. It generates N number of random events such as random touches, gesture, system level events, etc. and sends to the system or app which you want to test. Monkey help developers perform Stress as well as Unit Tests at their end that takes as less as 5 sec. It helps catch frequent exceptions like NullPointerException, unhandled exception, ANR (Application not responding), etc. faster and easier. It also handles system level events like background application performance and parallelly running applications in a better manner. Note: Install ADB in the directory platform-tool if not already there. 500 : Number of random events which you want to generate at a time. If all the events have not executed successfully, then it will print Error log in Android Studio and stop the events in the terminal with the same error. -s <seed> : To execute same event each time, You have to use same seed value each time to generate same sequence of event. --throttle <millisecond> : To slow down or insert delay in event execution. Can we use Monkey Tool for Android TV? No, you can’t use Monkey Tool for Android TV. There is Junit and Espresso for Unit testing which you can use for Android TV. you can use it with android tv.